At my heat pump blog you will learn all about heat pumps from an expert in the geothermal supplies field. Learn how heat pumps and pool heat pumps work, and find out what a geothermal heat pump is. Whether you are building a new home or want to have lower utility bills in your existing home, this blog will help you. 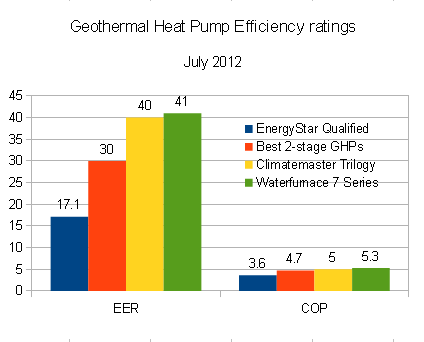 "We're particularly proud that our flagship 7 Series, the first variable capacity geothermal heat pump unit available to homeowners, was recognized with the Most Efficient designation," said Tim Litton, director of marketing at WaterFurnace. "We believe that receiving this honor for yet another product reflects that the WaterFurnace brand represents best-in-class innovation and energy efficiency." The 700A11 utilizes WaterFurnace's InfiniSpeed technology, a soft-start variable capacity compressor, in concert with a variable speed ECM blower and variable speed loop pump. This allows the unit to scale output to exactly the level needed rather than the "high" or "low" speeds found in normal systems. 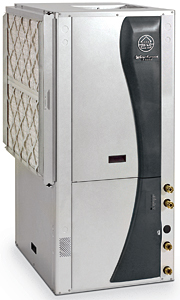 The capacity range is the industry's widest and can even eliminate the need for auxiliary heat.